Details and explanations here, download here. With VirtualBox 3.2 (and no one is ever going to call it Oracle VM VirtualBox, so let's get that straight), the software engineers have tweaked the type 2 (meaning hosted) hypervisor so it can run on all the latest "Westmere" variants of Intel's Core i5 and i7 processors for desktops and the Xeon 5600s for servers and high-end workstations. VirtualBox 3.2 also sports acceleration for the Remote Data Protocol if you are using a Windows 7 client in a VM, and the hypervisor can emulate an LSI Logic SAS controller for storage as well, which is common in high-end x64 workstations and entry servers and midrange x64 servers. 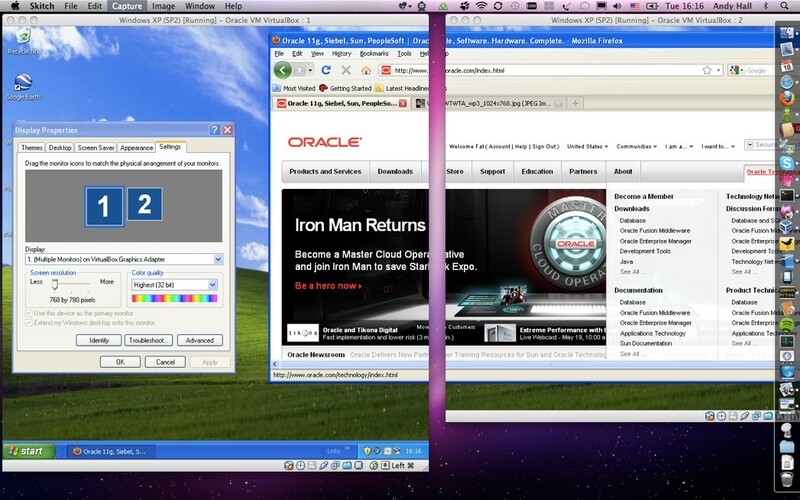 VirtualBox supports just about any x64 operating system you can imagine: Windows NT all the way back to 4.0 and Windows all the way back to 3.0, plus DOS, OS/2, Linux 2.4 and 2.6, Solaris, and BSD Unix - and now Oracle Enterprise Linux 5.5 and Canonical Ubuntu 10.04 are added to the long list.